Hugo Duplessis, died at the age of 94, after living a life fully immersed in boating and cruising. 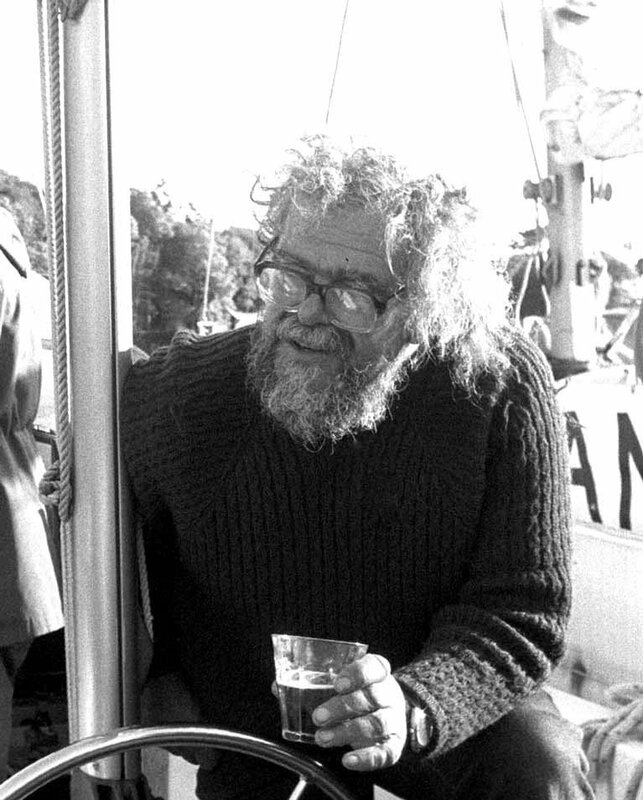 Hugo Duplessis was not only a remarkable cruising enthusiast, he also contributed to the boat-building world with his lifelong research in innovative materials such as fibreglass. As an adventurous cruise-lover, Hugo was already cruising the English Channel as soon as World War II ended, almost before it was permissible, as live minefields were still present. By 1947, he had been elected a member of the Royal Cruising Club, with which he was awarded six major cruising trophies. Then he moved to Ireland, where he became a member of the Irish Cruising Club in 1978. He used to have a yacht charter business in the 1970s and 1980s, the Irish Atlantic Yacht Charters from Bantry. When he wound it down, he kept two straightforward glass-fibre ketches built by Westerly Marine, the 36ft Westerly Conway Samharcin an Iar for his own use. Robustly built and noted for requiring minimal maintenance, they reminded Hugo’s earlier life in the south of England, where, experimenting in boat-building, he had been an early enthusiast for glass-fibre construction, to which he brought a complete precision. His curiosity and practical research into the full possibilities of the new material had resulted in the publication of his book, Fibreglass Boats, in 1964. Currently in its fifth edition, the book is still an authoritative reference, an invaluable, nontechnical resource for expert information on the principles of fibreglass construction, as well as sound practice. He crossed the Atlantic Ocean several times, heading to the less-visited cruising areas which inevitably attracted him. A cruise of Venezuela in 1996 saw him being awarded the ICC’s premier trophy, the Faulkner Cup after he’d collected the same club’s Atlantic Trophy in 1986 and the Strangford Cup in 1988. He continued ocean cruising until not so long ago and finally returned to base in Lymington by the Solent. He was a boat-owner to the end, co-owning a Colvic 23 Crimson Rambler III with his daughter Prim. He was seen afloat in this characteristically sensible little boat as recently as September last year.